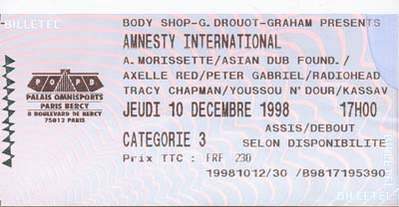 The concert celebrated the 50th anniversary of the Universal Declaration of Human Rights (UDHR) and took place 10 years on from the groundbreaking ‘Human Rights Now’ tour, at the Palais Omnisport de Paris-Bercy in France on December 10, 1998. 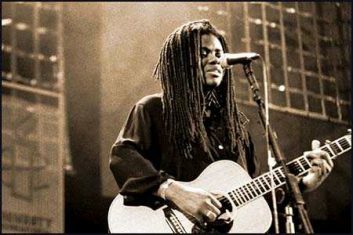 Tracy Chapman, Bruce Springsteen, Peter Gabriel, Youssou N’Dour, Radiohead, Alanis Morisette, Jimmy Page and Robert Plant, Kassav’, Asian Dub Foundation… are the big names that supporter the 6-hour line up at the 17,000 seat Bercy Stadium. 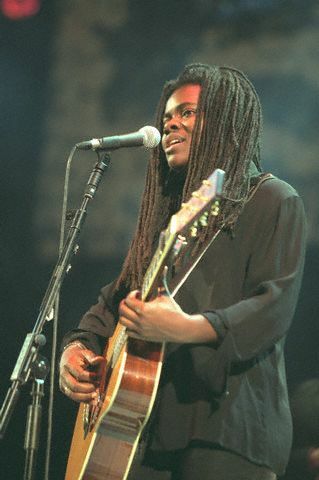 Tracy Chapman performing on the Paris Bercy stage for the Paris Concert for Amnesty International on December 10, 1998. 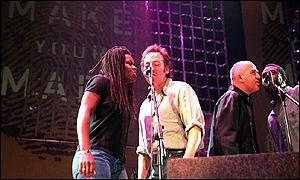 Tracy Chapman, Bruce Springsteen, Peter Gabriel and Youssou n’Dour performing “Get up Stand Up” on the Paris Bercy stage for the Paris Concert for Amnesty International on December 10, 1998. 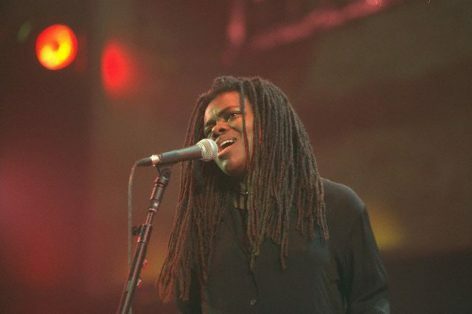 Tracy Chapman performing with Youssou n’Dour on the Paris Bercy stage for the Paris Concert for Amnesty International on December 10, 1998. Peter Gabriel: “The Universal Declaration of Human Rights is a very powerful document. 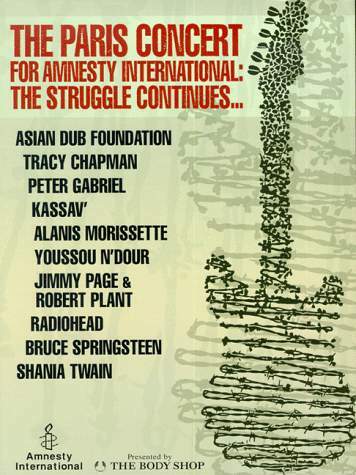 I am very happy Amnesty International has managed to organise a concert for the 50th anniversary. People need to know the rights their governments have accepted yet frequently ignore and abuse. It should be a great night. I am looking forward to hearing all the artists on what is a very strong bill”. I only discovered the contents of Universal Declaration in 1988 when we were preparing the Human Rights Now tour, and was really surprised to find out what they contained. In addition to what I expected to find, I also learnt that food, clothing, a place to live, a health service and an education were all fundamental human rights. It is incredible that so many countries signed up to this agreement but that so few actually put them into practice. It’s great therefore that Amnesty International has taken the initiative in celebrating the Universal Declaration of Human Rights. I hope that by raising awareness of this important document we can give the citizens of many countries more weight in fighting for fundamental human rights. 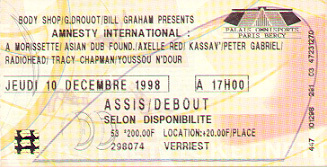 Youssou N’Dour: “The Human Rights Now tour was instrumental in educating millions of people around the world about the UDHR. 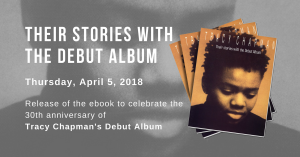 With this concert, we want to highlight the incredible courage of the human rights defenders who struggle in dangerous conditions — often risking their lives — to make the rights in the UDHR a reality”. 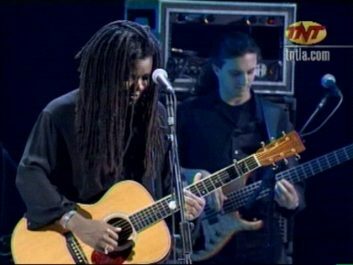 Broadcast on radio with celebrity promos by Tim Robbins, Suzanne Vega, Cyndi Lauper, Sarah Jessica Parker, and Tom Morello. His Holiness The Dalai Lama gave a speech to the audience. Rock veteran Bruce Springsteen joined British band Radiohead and Canadian singer Alanis Morissette for a concert to mark the 50th anniversary of the Universal Declaration of Human Rights. The award-winning Radiohead played in public for the first time in eight months . 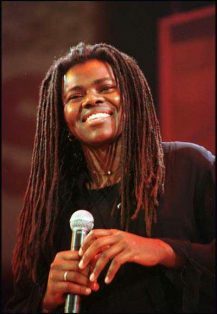 They appeared before a 16,000-strong crowd at Paris’s Bercy Stadium for the Amnesty International concert The Struggle Continues. 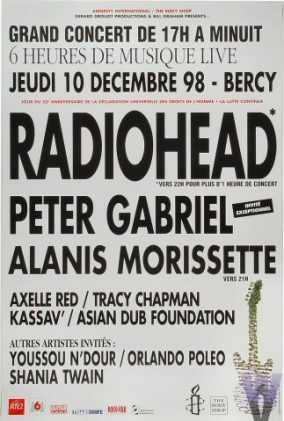 Radiohead last played in April in the US to round off their world tour and their last British date was back in November 1997. 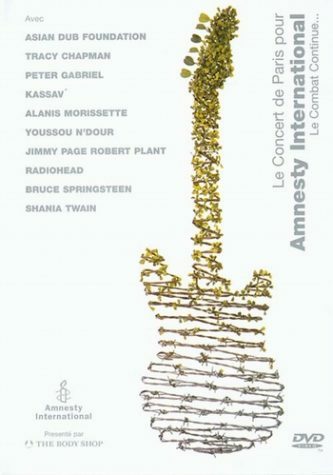 Jimmy Page, Robert Plant, Peter Gabriel, Youssou N’Dour and Tracy Chapman were also on the bill, for the concert organised by pressure group Amnesty International and the UK retailer, The Body Shop. 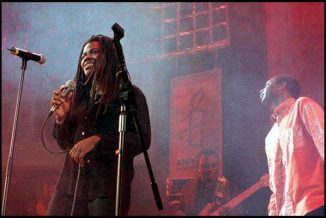 The concert was part of a week of events to mark the anniversary of the declaration, and marks 10 years since Gabriel, Chapman and N’Dour took part in Amnesty’s Human Rights Now tour. 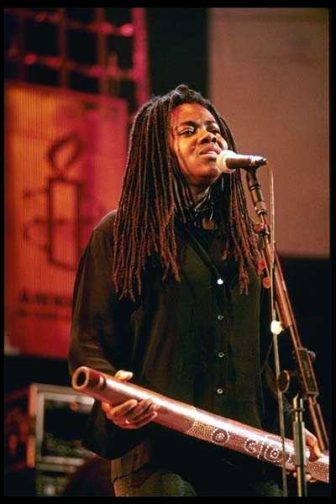 Peter Gabriel, a veteran of Amnesty’s human rights shows a decade ago, said earlier: “The Universal Declaration of Human Rights is a very powerful document. 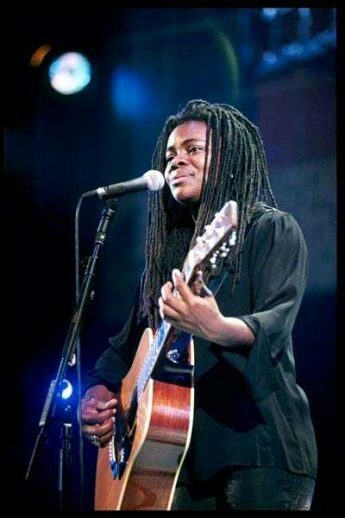 The concert coincided with a summit of world leaders in Paris to discuss human rights. Many high profile human rights figures – including South African President Nelson Mandela, Burmese democracy leader Aung San Suu Kyi, and the Dalai Lama – took part in the ceremony or sent messages. Surrounded by human rights activists and dignitaries, Mr Chirac said: “In France and outside our borders, we need the vigilance and courage of human rights activists more than ever. Amnesty International is a worldwide movement of people who campaign for human rights. Its appeals for victims of human rights violations are based on accurate research and on international law. It is independent of any government, political ideology, economic interest or religion. The movement was launched in 1961 by Peter Benenson, a British lawyer, after he read about two Portuguese students who had been sentenced to seven years in prison for raising their glasses in a toast to freedom. His newspaper appeal, “The Forgotten Prisoners”, was published worldwide on 28 May 1961 and brought in more than 1,000 offers of support for the idea of an ‘international campaign to protect human rights’. Within 12 months the new organisation had sent delegates to four countries to make representations for prisoners, had taken up 210 cases, and had organised national branches in seven countries. From the beginning, the principles of fairness and independence were established. Its members began to act on cases worldwide, but did not become involved in cases in their own countries. The emphasis was on the international protection of human rights. To seek the release of all prisoners of conscience as long as they have not used or encouraged violence. To work for fair and prompt trials for all political prisoners. To campaign to abolish the death penalty, torture, and other forms of cruel, inhuman or degrading treatment or punishment. To end extra judicial executions and ‘disappearances’. This ancient proverb inspired Peter Benenson’s choice of a symbol for Amnesty International. The candle in barbed wire is still used today. Amnesty International now has more than one million members and supporters in more than one hundred countries and territories.